Daytripper, Hulk, and a tardy response to Shield critiques. As always, spoilers below. 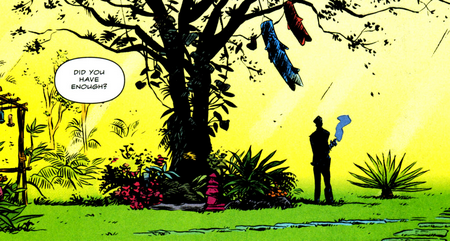 Daytripper #10 (of 10) (Gabriel Ba, Fabio Moon; Vertigo/DC Comics) This was a perfect ending to a great series. If you’ve been following along for the last ten issues, this finale provides a wonderful sense of closure: we end with an origin story. The art speaks for itself, but the writing really impressed me this issue. Moon steps back from the high concept conceit of the series in this issue to deliver a tender, understated denouement that lingers long after the book is closed. After the first scene, when we see the truth behind the oft-told story of Bras’s birth, there is nothing that could be mistaken for magical realism in this issue. The death that haunts this issue is not unexpected this time: its almost ordinary, an old man dying of cancer. There’s still a dream-like quality lurking at the margins of this issue, but Ba keeps everything grounded. If one strips away the setting and the familiar premise, what remains is a story about a man in the twilight of his life faced with some incredibly tough choices. Although the premise of Daytripper seems a little ghoulish at first glance — a story about a man who dies at the end of every chapter — this issue reminded me that the brothers had been holding back. Death’s not the hard part. It’s the process of dying that’s so painful to watch. The brothers give this story space to breathe. Moon takes a more conversational, naturalistic approach to his dialogue, a slight departure from the heightened, almost poetic language of the previous nine issues. Here, emotion is primarily expressed through meaningful glances and pregnant silences. 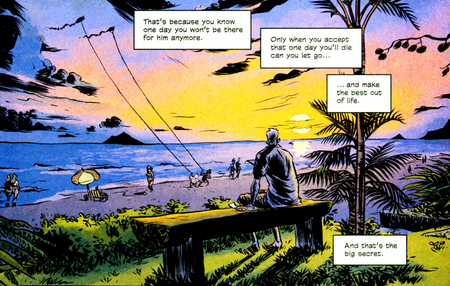 This issue saves its big emotional moment for the last act, revealing the contents of the letter Bras’s father wrote him shortly before his death. The letter is seen in captions accompanying a sequence that depicts Bras coming to terms with his fate. We are reminded of the cyclical nature of life, and the beautiful struggle of parenthood. Parents sacrifice their independence and invest their all into building a home where their children can be happy and grow strong, all so that the next generation will survive without them. It reminds me of an old Father’s Day essay by P.Z. Myers in which he mused “[w]hat a strange idea, that a life could find meaning in selflessly helping a generation that will leave one behind.” It’s a familiar theme that’s masterfully executed here. The paradox of Bras’s circumstances become clear by the end of the book. 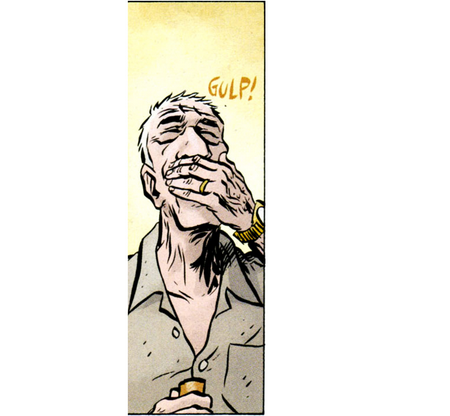 His life, in all of its incarnations over the last ten issues, is both a tragedy and a miracle. It seemed as if Bras was well on the way to recognizing the parallels between his life and that of his father, but reading the letter really sealed things. This was the first time that Bras was not surprised by his coming death, and it looked like that gave him some measure of peace. I’ve blathered on about the writing, but the brothers, along with series colorist Dave Stewart, provided a visual experience that made me realize the limits of my vocabulary. It’s the kind of passionate, almost inspirational work that you rarely see in mainstream comics. It’s the feeling I got when I was first exposed to Frank Quitely on All-Star Superman and We3, J.H. Williams III on Detective Comics and Promethea, David Aja on The Immortal Iron Fist – a reminder that art in mainstream comics is still occasionally capable of invoking a genuine emotional response. I’m not just referring to work that’s competent, or even accomplished, but transcendent. There are many artists that fall in the former categories, but precious few in the latter. 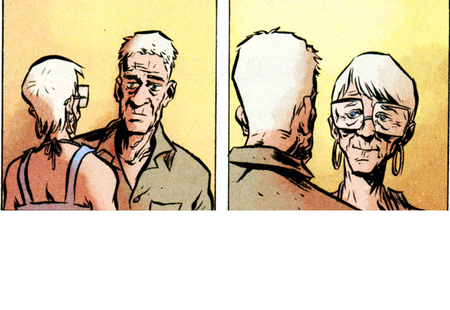 Why is Daytripper special? I want to say that it’s something concrete, like the breathtaking art or the lyrical, believable dialogue. But it’s more. It’s the moments in this series that evoked memories and feelings from childhood and young adulthood. The ones that affect the reader so personally that it almost feels inappropriate to discuss on a public forum. I don’t have children, but this issue reminded me of the intertwined miracles and tragedies that pepper my family history, the sacrifices that countless generations of men made to ensure the survival of the next generation. I love Bulletproof Coffin so far, and will review it in more detail when I get my hands on the last issue, but Daytripper is the best series of the year so far, and I can’t wait to see what the brothers do next. With this sharp rejoinder, Parker confidently closes the door on the long Ross vs. Banner conflict. 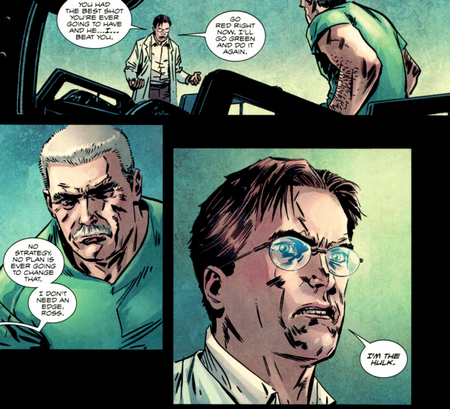 The geek in me loves that he accomplished this without abandoning Loeb’s work, by providing a natural conclusion to the book’s part of the World War Hulks storyline. 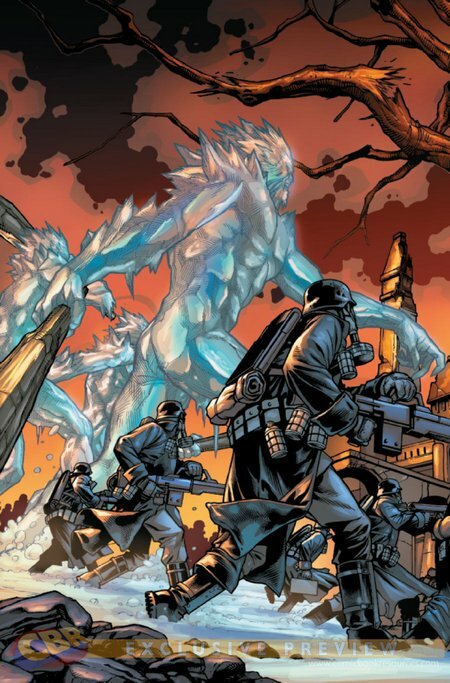 A Few Brief Thoughts on S.H.I.E.L.D. – I know this is coming extremely late, but… I had to write this somewhere. In a recent review, Bobsy entertainingly eviscerated Jonathan Hickman’s latest issue of S.H.I.E.L.D., describing it as “nonsense made enough to think it’s Important”. It’s a valid response to the book, but I think he veers off course as he develops his argument. Although one can argue that Hickman should leaven the book with some lighter elements, I think its a mistake to characterize Shield as some kind of alternative history book. I think a closer analogue for S.H.I.E.L.D. is the recent trend of genre fiction meets famous historic/literary characters mashups, such as Abraham Lincoln: Vampire Hunter or Pride and Prejudice and Zombies. Books like these satirize both the stuffy reputations of the classics and the hagiographies that have developed around famous historical figures. At their best, these books don’t just juxtapose high with low culture, but slyly comment on the way we simplify complex historical actors and remind us of the pure entertainment value of classic novels. 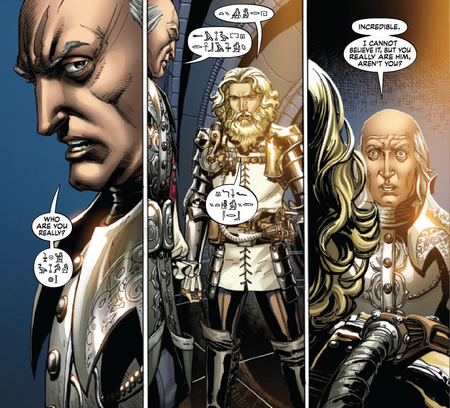 When Hickman depicts Isaac Newton as a scheming supervillain, its closer to an Abraham Lincoln that hunts vampires, not a Jesus Christ with children. It’s not a story that’s intended to destabilize the reader’s understanding of the past, so criticizing it for failing to achieve the goal is a little unfair. Hickman’s not rewriting established Marvel history at all in this book, he’s filling gaps by filtering a traditional version of history (the kind found in a junior high textbook) through a four-color superhero prism. I also appreciate the argument that fitting Newton into the simplistic hero/villain binary is the easy choice, but I think it reflects the uncomplicated morality of superhero comics, not the debate over evolution or climate change. All that said, I don’t disagree with Bobsy’s ultimate point – this book lacks a sense of adventure. My response: When I referred to ‘imperialism’ or ‘colonialism’, I was referring to the destruction and exploitation of native cultures by the “forces of the West”. I also was operating under the assumption that we will see SHIELD exert influence and conduct “conquests” in coming issues. That said, you’re right – imperialism and colonialism are incredibly complex phenomena, and I probably should have chosen a more apt phrase. Fantastic Four #583 (Jonathan Hickman, Steve Epting; Marvel Comics) Hickman’s thirteen issues of world-building begins to bear fruit with this issue, which features a rollicking battle in the Forever City and the beginning of Dr. Doom’s quest to restore his brilliance. Hickman shifts the spotlight to Valeria Richards in this issue, as she learns the results of her father’s efforts to “solve everything”. It’s a fun read that’s marred by surprisingly inconsistent art from Steve Epting. His layouts are fine, but his faces are terrible. Thor #615 (Matt Fraction, Pasqual Ferry; Marvel Comics) Matt Fraction begins his run on Thor with this issue, which raises the intriguing question: “while Asgard is here [Earth], what’s in Asgard?” The premise is both clever and promising, but Ferry and letterer John Workman are the stars of this issue. Ferry’s art conveys a sense of awe and majesty that’s been missing from Thor comics for a long time. The image below has been posted everywhere, but…. It’s hard not to want to buy a comic with this kind of art. David Brothers explained why Workman’s letters are essential to the appeal of this issue for 4th Letter last week, and if you haven’t read it yet, I encourage you to check it out. As far as Fraction’s writing goes… I’ll suspend judgment for now. The conversation between Dr. Solvang and Volstagg lasts a few pages too long. The Alfheim massacre was oddly reminiscent of Fraction’s back-up story in Uncanny X-Men #522. I don’t really enjoy the new Thor/Donald Blake dynamic. But this is the first issue. We’ll see. The Con approaches… October 8 – 10 at the Jacob K. Javits Center. I’ve attended the con two out of the last three years, and it’s always been a fun opportunity to meet some creators (and promise to do reviews that I still haven’t written), buy some discount comics, and spend some time with the Funnybook Babylon – 4th Letter extended family. Building A World in Comics (panel, Friday from 9-10pm, Room 1A22): This panel, moderated by Tucker Stone, and featuring the participation of comics luminaries including Mike Cavallaro, George O’ Connor, Susan Kim and Laurence Klavan, will explore the process of worldbuilding in comic books. Atelier (comic): Fabio Moon and Gabriel Ba! The twins are attending NYCC, Rio ComicCon and the Crack Bang Boom convention in Argentina over the fall, and came up with an ingenious plan: to create a one-shot that could be read and understood in three languages (English, Spanish and Portuguese) in one month. The result: the aforementioned Atelier, a one-shot that will premiere next week. I’d love the opportunity to get a copy of this. AOL’s ComicsAlliance Presents: Ask ComicsAlliance (panel, Saturday from 5-6, Room 1A24): Laura Hudson and Caleb Goellner are joined by Chris Sims, David Brothers and FBB alumnus David Uzumeri to answer audience questions. Getting Paid for Your Work: A Legal Overview (panel, Saturday from 4-5, Room 1A23): Are you an up and coming creator? Get a lawyer. But before you do, check out this panel that features some luminaries in the i.p. field offering tips and tricks for the neophyte in the world of work-for-hire, licensing and publishing. The panelists include Thomas Cromwell, Esq. a partner at Saperstein & Cromwell and author of The Pocket Lawyer for Filmmakers, Walter-Michael Lee, Esq. of the I.P. Practice Group of Gibney, Anthony & Flaherty, LLP, and representatives of the artistic community that include Adam Ghahramani and Alan Robert. This sounds like a great panel. 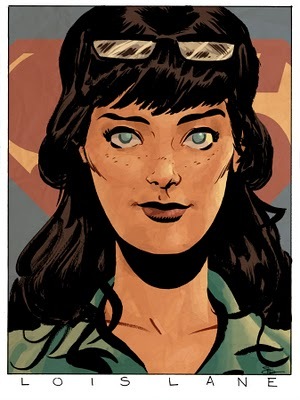 Lois Lane, a commission by Evan “Doc” Shaner. 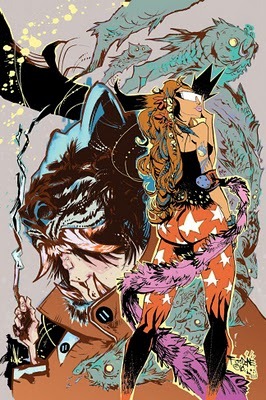 Booty & the Beast, a limited edition print from Jim Mahfood and King Gum, available here and at their Artists Alley table at NYCC. 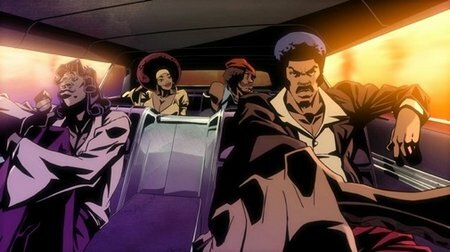 An image from Black Dynamite, a new animated series headed for Cartoon Network’s Adult Swim sometime in the near future, based on Michael Jai White’s cult classic film. According to Shadow and Act, this project will be headed by Carl Jones, a member of the creative team behind the Boondocks cartoon series. The blog also claims that the preview of the series will premiere at NYCC, which would be awesome. 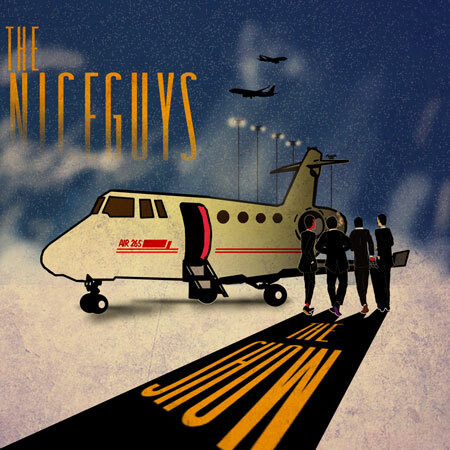 The cover of The Show, a free album by the Niceguys. Download here or buy on iTunes. Check out the back cover at Nah Right. 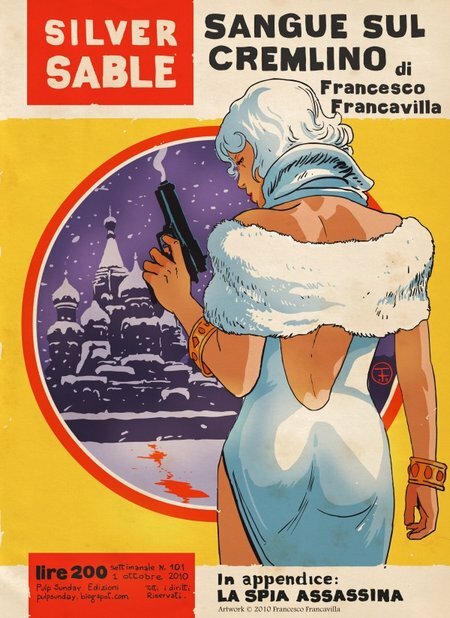 Silver Sable, by Francesco Francavilla. Gershom Gorenberg argues that Israel’s government has “ceded its monopoly on foreign policy” by failing to extend its freeze on building in West Bank settlements during the Israeli-Palestinian peace talks. The horrifying reality of raw pizza. Nicholas Smyth on moral totalitarianism, philosophy and adoption. Slow Down Paul Rodriguez, you’re killing ’em. 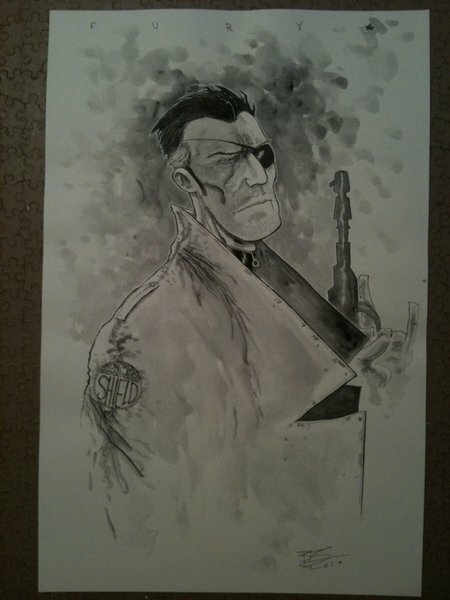 B. Clay Moore’s Timely themed sketchbook, via Robot 6. Dan Drezner bemoans the coming international currency war. Check out the reportage at FT.
A trailer for True Grit, the Coen Brothers remake of the John Wayne classic. Andrew Sullivan and Glenn Greenwald on the Obama Administration’s decision to target Anwar al-Awlaki for his alleged involvement in Al Qaeda. Chris Arrant interviews Rafael Grampa for Robot 6. The Global Rich List. Where do you fall on the international distribution of income? The majority of subjects in behavioral science studies are from WEIRD (Western, Industrialized, Rich and Democratic) natons. How does that skew study results? via Kottke. 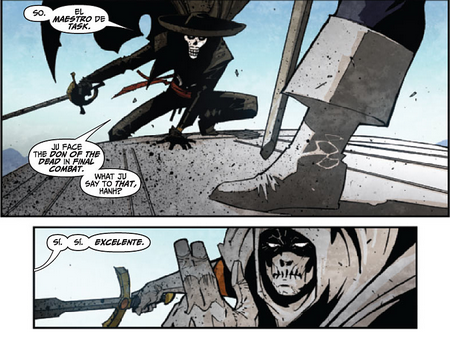 Taskmaster #2 (Fred Van Lente, Jeffe Palo, Jean-Francois Beaulieu; Marvel Comics) The first issue was great. I eagerly await the second. 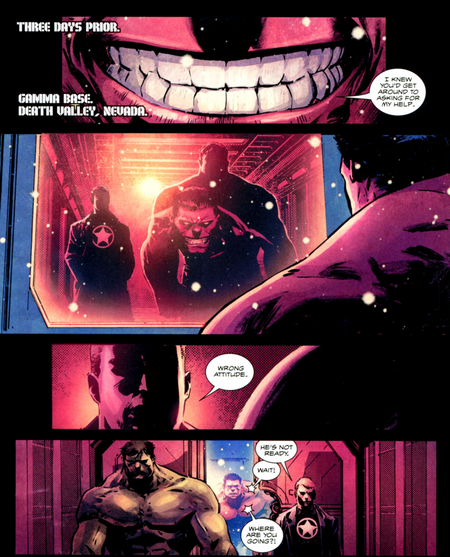 SHIELD #4 (Jonathan Hickman, Dustin Weaver, Christina Strain; Marvel Comics). I’m still interested. 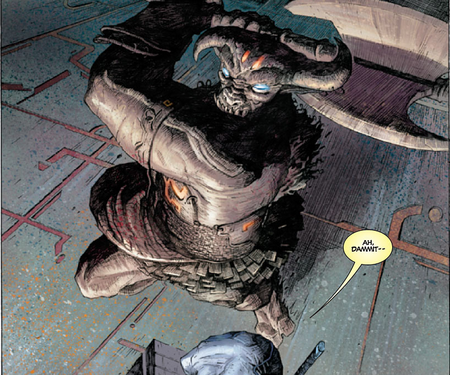 Uncanny X-Force #1 (Rick Remender, Jerome Opena, Dean White; Marvel Comics). I think Remender can reform X-Force. 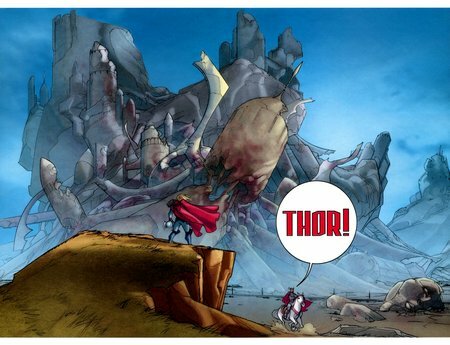 Ultimate Thor #1 (Jonathan Hickman, Carlos Pacheco; Marvel Comics). The untold story of Thor’s debut. I give it one issue. Next Week: We invade the Con. No survivors.